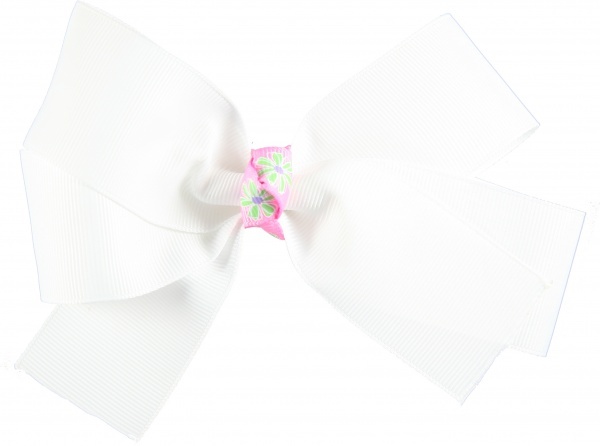 This is a white grosgrain ribbon that has a cotton candy pink ribbon with lime green flowers that wraps the center with a French knot. This is a great mix of white, pink and lime green that looks great for Spring. It is attached to a French Clip. Perfect for the side of the hair or the back ponytail.